Claire Weeks’ charming chicken paintings are also available in a range of glass heat resistant serving platters. 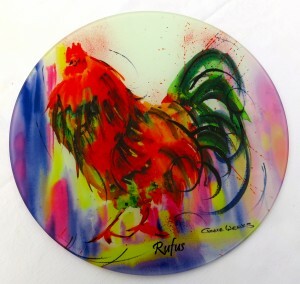 Featuring designs from Claire’s lively and vibrant watercolours, the range is ideal as kitchenware gifts for him or her. 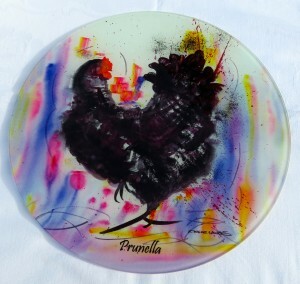 The glass serving platters are heat resistant to 260°C and priced at £22.00. Claire’s round glass platters are 12 inches in diameter and finished in a smooth or chinchilla finish. 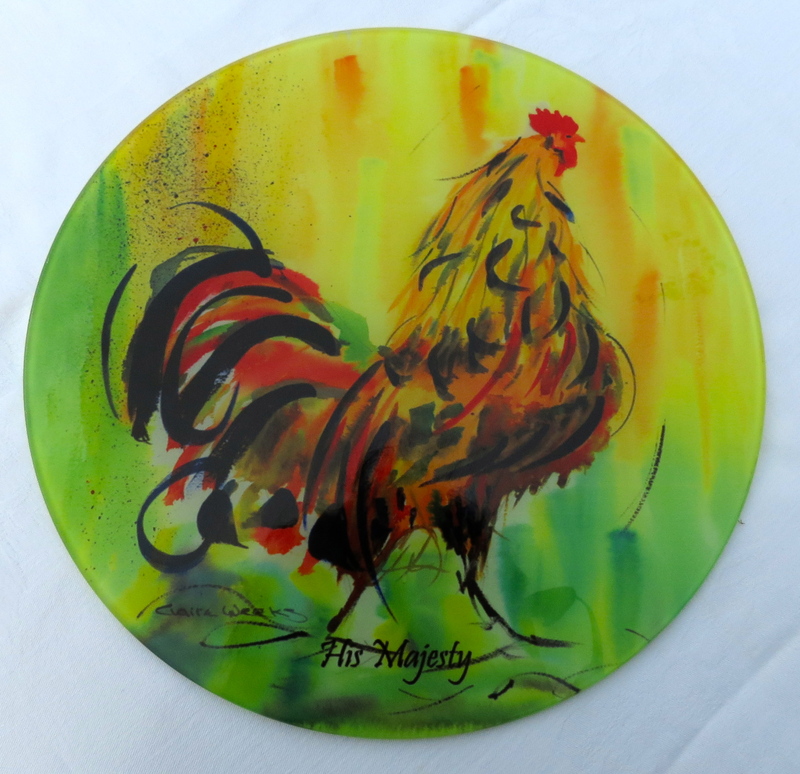 Very versatile for hot dishes straight from the oven, cheeseboards, cake stands or chopping boards or just a colourful centre piece for your table, 12″/30cm diameter. Packaged in a mail order box which is suitable for direct gift wrapping. Proud and regal lovely yellow, gold and hints of red. 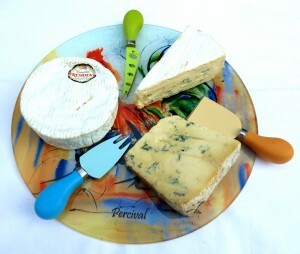 Ideal For: Serving platter, Cheeseboard, Chopping Board, or decorative. Sociable hen with blacks and purple. Slow and proud lovely reds and greens, Rufus means red in latin. She’s wicked with greens, dark blue and hints of pinky reds.